I am always trying new things and this one turned out so cool! 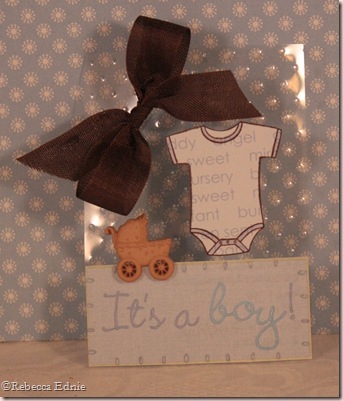 I made this so long ago I’ve forgotten but I think it was a brown and blue ATC swap. I decided to use the clear cardstock because I had scraps on my desk. I embossed the clear background with an embossing folder; when I did it before, I got white raised areas but not this time, I wonder why? I still thought the subtle texture was cool. It is hard to see but I subtly enhanced the ribbing with a Copic marker. The bottom of the ATC is a sticker.